Your Cosmic Bowling Experience in Allen! 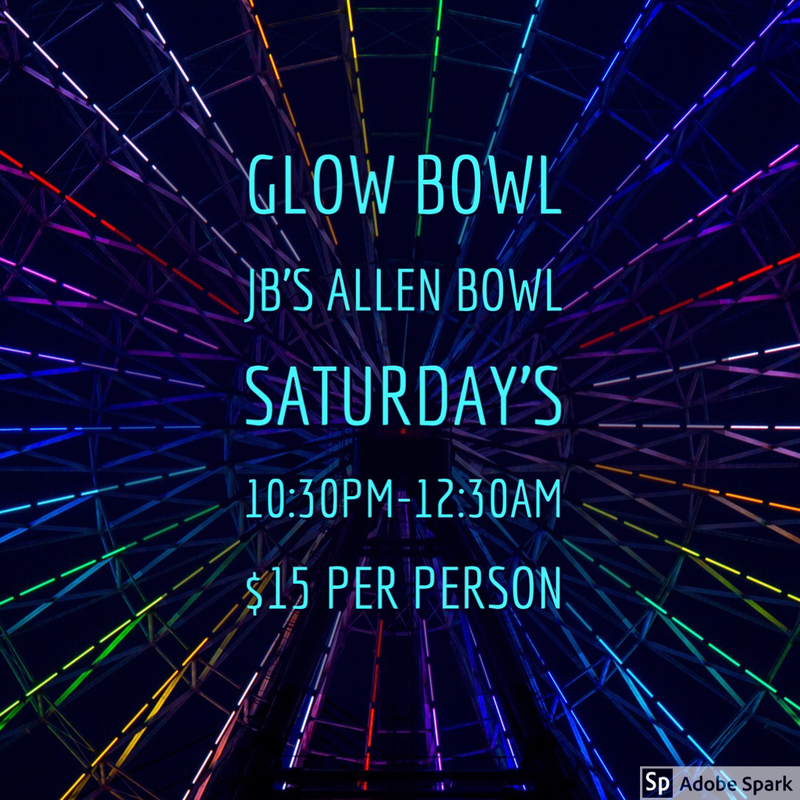 JB's Allen Bowl’s Cosmic Bowling is your Cosmic Bowling experience in Allen. Laser Lights, Disco Lights, Black Lights, and Runway Lights. LOUD heart pounding music. Our Cosmic Bowling lanes even glow in the dark during our Cosmic Bowling Events! Cosmic Bowling is the hottest bowling experience in Allen. Black lights, spot lights, strobe lights and fog teamed up with loud heart pumping music videos makes this the most bowling fun around. Our lanes even glow in the dark during Cosmic Bowling. Only $15 per person...includes shoe rental!